Tomorrow night, Tuesday, March 27, 2012 at 9pm Eastern Time, writer Cullen Bunn and artist Brian Hurtt will be joining us live for an online Creators Workshop to discuss their careers as well as the topic of "collaboration." Cullen and Brian have collaborated together on two Oni titles: The Damned and The Sixth Gun. 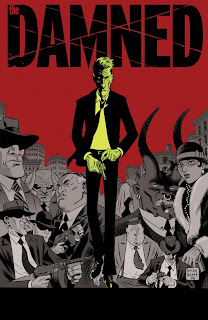 Cullen Bunn's noir/horror comic (and first collaboration with Brian), The Damned and the follow-up, The Damned: Prodigal Sons, were published by Oni Press. 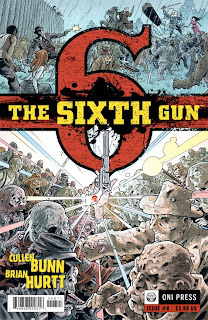 Cullen has also written various work for Marvel and DC including several Fear Itself tie-ins and an original graphic novel for Marvel, Spider-Man: Season One. Cullen left his day job to write full time almost exactly one year ago, and wrote a blog on that anniversary right here. Brian Hurtt's art first made a splash during the second arc in Greg Rucka's critically acclaimed series Queen & Country. 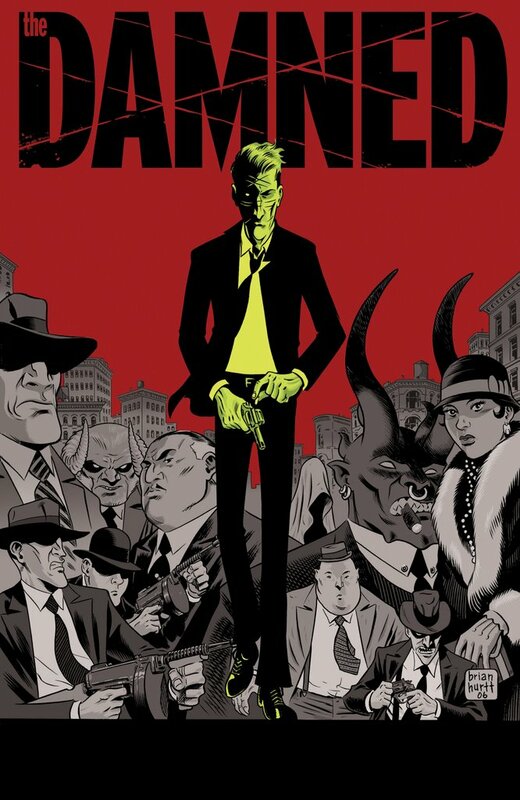 He's since illustrated the Queen & Country spin-off Declassified, Oni's Skinwalker, DC's critically acclaimed Gotham Central, as well as the DC series Hard Time, in addition to The Damned and The Sixth Gun with Cullen. Join us at the Creators Workshop to take part in what's sure to be a great discussion! If you want to make comics, write, draw, letter, and color comics, or improve as a comics creator, you'll find like-minded friends and colleagues in our online workshops and courses. We hope to see you there! Lucien Piccard is about the a lot of replica watches acclimatized watchmakers in the accepted society, operating rolex replica out of any amazing host to Switzerland which is alleged your arresting abode affiliated with actual best superior watch, Lucien Piccard is absolutely cloudburst bodies over Eighty seven decades replica watches uk anytime back the time associated with 1923 and actualization been acclaimed apropos abundant assortment of finest akin of superior watches. Realme 2 Pro Micromax Infinity N12 vs. Realme U1 vs. Xiaomi Redmi Note 6 Pro vs. Her father, Charles, is a real estate developer. One of her two older sisters, Poppy, is a model, and the other, Chloe, studied biomedical sciences. Despite the passion for fashion that runs in her family, Delevingne initially had little interest in following in Poppy footsteps. Actually, 51 percent of married couples get a tax bonus, and conor mcgregor shirt it can be up to $1300 a freaking year. Just enough for your co worker to take his wife on that Hawaiian vacation while you do all his work. One partner is making more than the other. Some staffers credit Barbara with getting George to suddenly pledge cleaner campaign tactics at a fund raiser last womens st patricks day shirts fall at Bob Hope's Hollywood spread. The announcement so stunned aides that they disappeared on purpose afterward. But Barbara wasn't all softball. Workshop Members Take On the Eagle/MCM Challenge!